Egyptian Bullet will have her work cut out against Nature Strip when she runs at Flemington. Trainer John McArdle acknowledges Egyptian Bullet faces a task against odds-on favourite Nature Strip but believes the A R Creswick Series Final presents the filly with a chance to secure black-type. Egyptian Bullet won three straight races before finishing fifth in her most recent start at Moonee Valley in a 1200m handicap for three-year-olds, giving between 5.5kg and 7.5kg to the horses who beat her home. 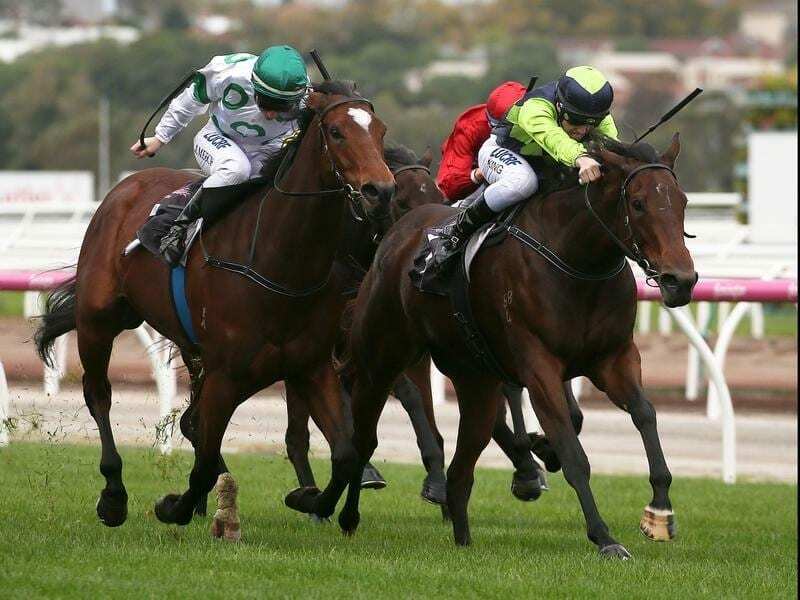 She drops to 55.5kg in Saturday’s LIsted 1200m-race for three-year-olds at Flemington which is a plus, but she will only get 3kg off topweight Nature Strip under the set weights and penalties conditions. “She’s nice and bright and well and her work on Tuesday was good,” McArdle said. “She went into that race last start very poorly weighted. “She had 59-and-a-half kilos and gave those that beat her home plenty of weight. “Obviously if Nature Strip repeats his performance from last-start he’ll be near-impossible to beat, but it’s a stakes race so we’ll go there and see if we can run a hole. McArdle said Saturday’s race was the most suitable option for the filly who is the second-highest rated horse in the race behind Nature Strip. “If we race in fillies races she’s going to get badly weighted again. This race is set weights and penalties and she gets in with 55.5 kilos. So it’s the best way to go,” McArdle said. McArdle has had 12 winners across the state since June 5, including a city victory with talented two-year-old filly Humma Humma at Sandown on Wednesday. “We’ve got a very young team so we’re just lucky we’ve got a really nice group of young horses coming through,” McArdle said.